A registered patent attorney with a degree in chemistry, Nathan worked for many years at one of the largest law firms in the world and developed extensive experience in patent procurement, enforcement, and licensing, with an emphasis in patent prosecution and freedom-to-operate opinions. 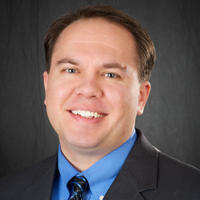 He also has significant experience in technology transactions, licensing, and NDAs. Nathan has prosecuted patent applications in all the major technology fields, i.e., chemical, electrical, software, and mechanical, in the U.S. and PCT, and has managed prosecution in all major foreign countries. He is also the main author on two published articles in IP… read more law journals. "Recently, my small entrepreneurial firm was trying to license pending IP. The much larger potential acquirer had a team of lawyers question an element of the patent application. Nathan Lewis took on this team and pointed out that there would be no conflict based on the way our application was crafted. An invaluable resource at the moment of truth. B"
"Nathan has worked on behalf of our company for several years. We utilize Nathan’s legal services in regards to patent filings and protection of intellectual property. Nathan has helped our company successfully achieve several important patents which required detailed writing and organized in correct patent law format. In addition, when the US Patent Examiner sent rebuttals, Nathan presented excellent arguments that convinced the Examiner to allow our claims granting us broader protection. Our company will only work with Nathan when it involves patent filings and intellectual protection.”"
Partner at small Intellectual Property boutique firm, representing both Fortune 500 clients and startups, primarily in patent matters, such as patent drafting, prosecution, reexamination, non-infringement counseling. Trained by and worked under some of the best patent attorneys and IP transaction specialists in one of largest firms in the world.